Joint replacements are among the most common elective surgeries -- but around one in 100 patients suffer post-surgical infections, turning a routine procedure into an expensive and dangerous ordeal. A study has shown that the showerheads contain slime that can be home to potentially dangerous bacteria which lead to severe lung disease. 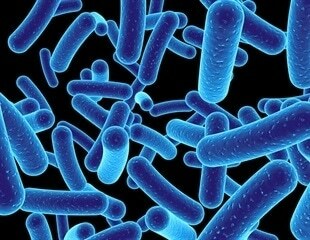 Mycobacterial bacteria are responsible for lung diseases explain experts. The Austrian Federal Environment Agency and the Medical University of Vienna have presented the first preliminary results of a pilot study on microplastics (microplastic particles) in humans. Researchers in infection biology have developed a new way to detect hidden urinary tract infections. The research was led by Professor Agneta Richter-Dahlfors, head of the Swedish Medical Nanoscience Center at Karolinska Institutet and published in NPJ Biofilms and Microbiomes.